OOTD: if my mum gave it to me, does it mean its vintage? Because if so, then I have a real life vintage Louis Vuitton bag here haha my mum gave it to me when the strap broke and even though its broken I'm still to scared to wear it too often because its designer haha I paired it here with my new maxi from Influence and my lovely D&G sunnies. 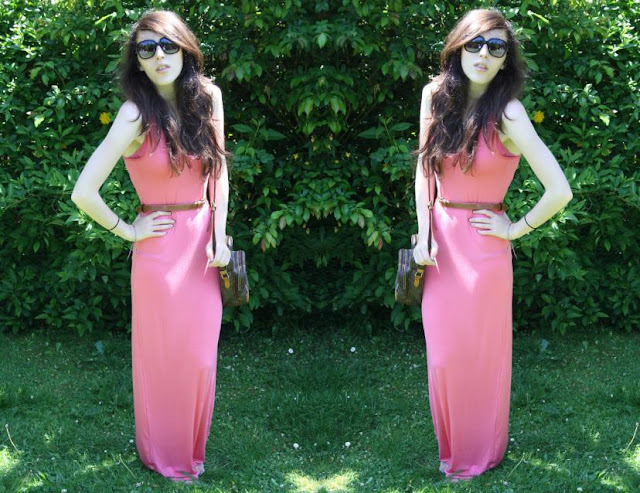 I forgot what it's like to wear a maxi, I've moved on to midis this year but it was lovely to throw one on for the day. They are so easy to wear and this one particularly is a lovely colour! What a sunny day it was when I took these photos. I Think i have quickly forgotten what the sun looks like as I have a new job at Westfield London, I'm so pleased to have a job but it involves an hour and a half journey there and another one back on the underground, dedicated I know! Still, it's a fun place to work and I'm happy. That is also the reason I haven't blogged for almost a week! I think that's one of the longest times I've ever gone without blogging and I've hated it so once I get settled into my job hopefully my blogging will become regular again :) hope everyone has had a great week! Congrats on your new job. 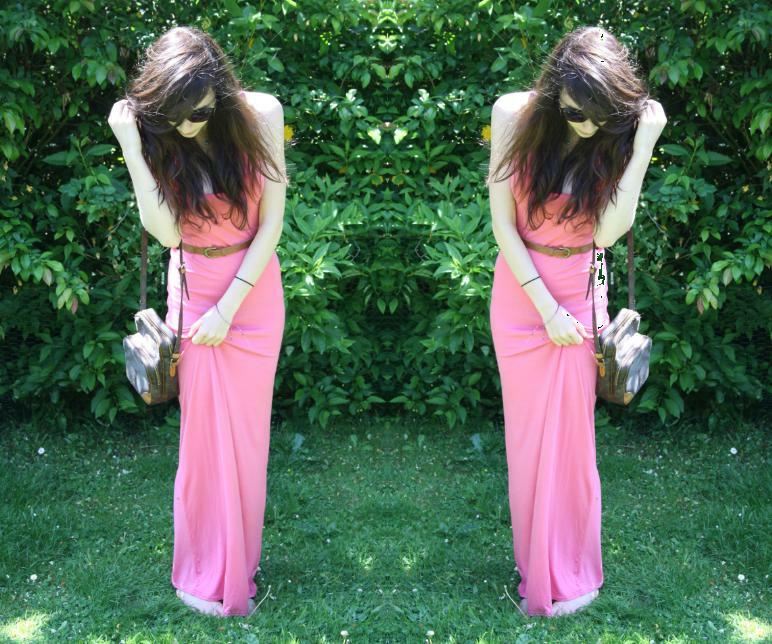 :D I love your dress, such a pretty colour for summer! :D It was so nice meeting you yesterday lovely! check out my new post featuring a Lookbook shoot of a fashion brand!